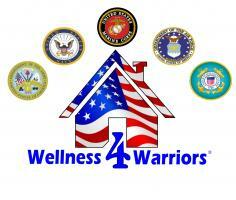 Wellness 4 Warriors – Making a difference for Veterans! Making a difference for Veterans! The mission of Wellness 4 Warriors is for our Veterans to live in a healthy home environment by providing products that promote health and wellness. We partner with several companies that donate a portion of a purchase to Wellness 4 Warriors. Those donations are then used to purchase products for veterans. We approach healing from the standpoint of natural options. We realize medications are needed sometimes, however; our veterans should have the opportunity to also choose other resources that are non-dependent. We know that clean filtered air, clean filtered water, restorative sleep, and energy have been very effective in helping our veterans cope and recover more naturally. Through Wellness 4 Warriors veterans will be provided resources to adapt, restore, and heal to function as they should on a daily basis. We care deeply about and pray for our military and the health of our veterans.